The long-winded Latin name, Anthemis punctata subsp. cupaniana belies the fact that this is one of the easiest plants to grow and keeps on giving and giving. 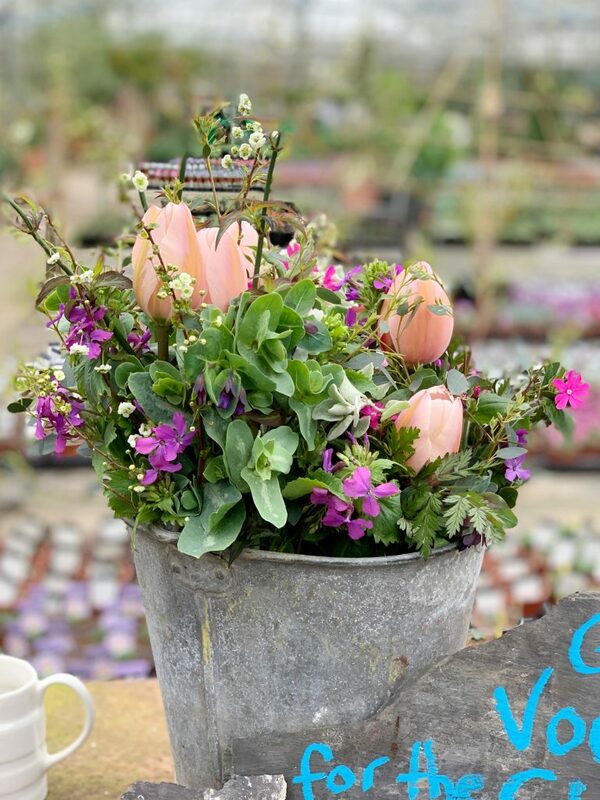 It’s an absolute must for most British gardens that have sunshine during the day and it’s capable of withstanding drought conditions that are becoming a normal part of the British Climate. 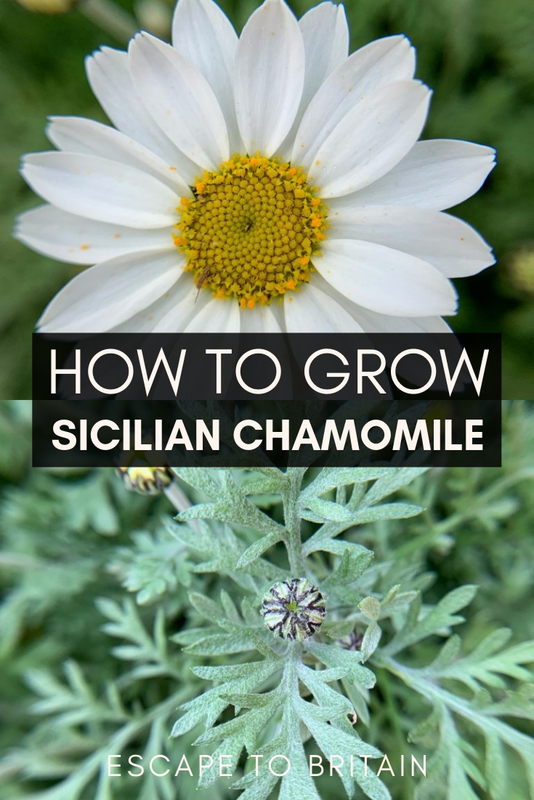 This wonderful plant also referred to as Sicilian Chamomile is, as the common name suggests, of Mediterranean origin and the same genus as the well-known anthemis nobilis which is often referred to as Lawn, English or Roman Chamomile. 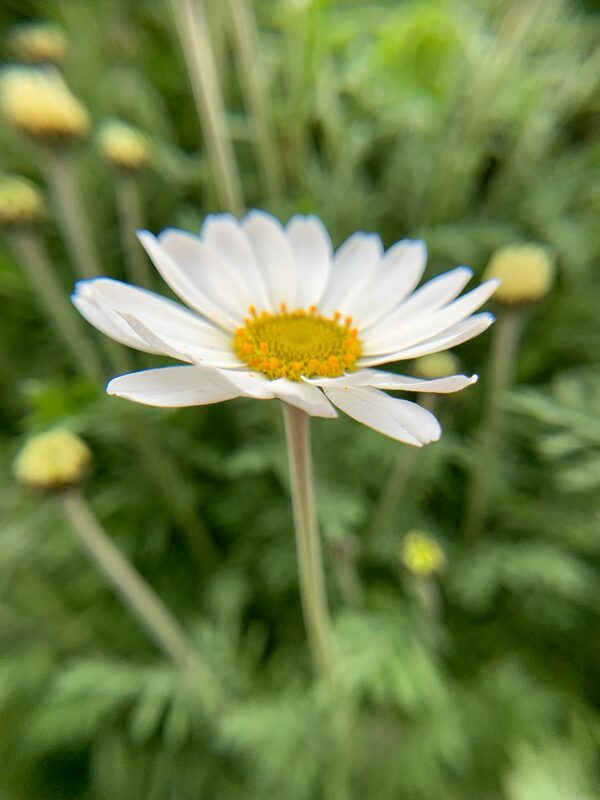 Anthemis Cupaniana is a woody-based mat-forming evergreen perennial with delicate silver filigree-like leaves that remain attractive throughout the year. It grows to a maximum height of 12 inches (30cm) but can spread up to almost 5 feet (150cm) in a period of 2-3 years despite some hard cutting back. If planted in suitable conditions it will put on a lot of growth in a single season. 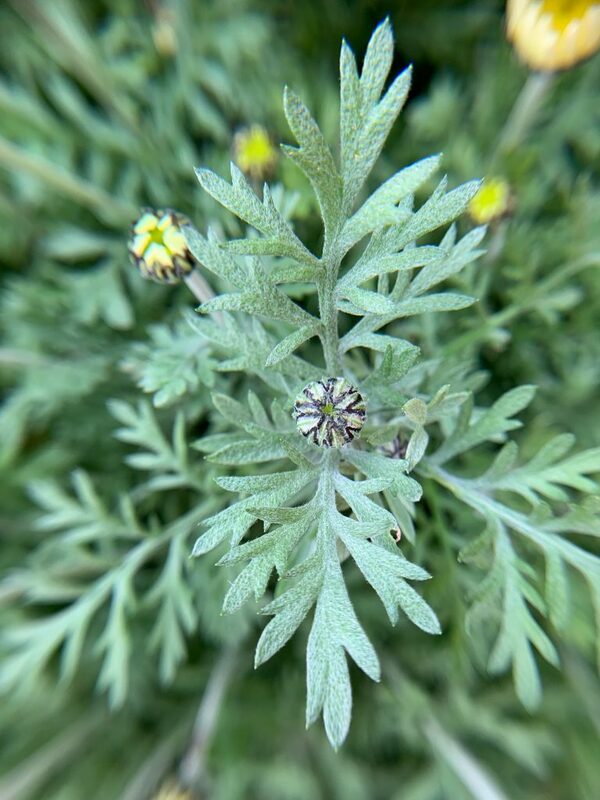 The plant in the photo below is approximately 150cm wide and deep and has been in situ for three years; having been heavily pruned after flowering. If you require something rather smaller it’s an easy plant to keep in check. 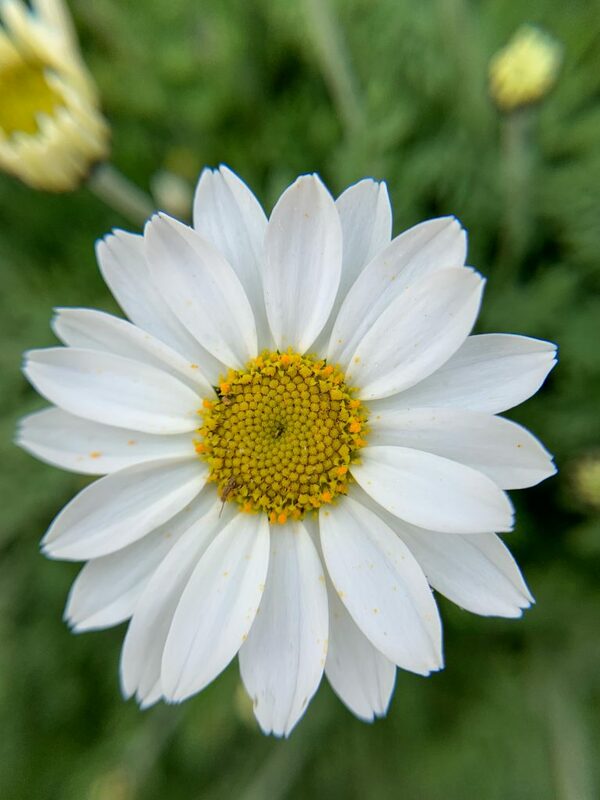 The flowers are reminiscent of the common garden daisy, but much bigger and bolder with a large cheery yellow centre and showy white petals that can be up to 4cm in diameter on shortish silvery stems. Flowering starts the end of March/start April (weather dependent) with the abundant flowering right continuing through to July and continues sporadically through to the cooler weather. This happy go lucky drought-tolerant plant is very happy as long as it gets some sun during the day and can tolerate any aspect except north. It grows best in moderately fertile soil and is equally happy in chalk, sand or loam and isn’t fussy when it comes to ph levels; at home in neutral, acid or alkaline soils. However, like many other Mediterranean plants, it doesn’t like sitting in cold waterlogged soil. The R.H.S. have classified the plant as H4 meaning that it’s hardy throughout most of Britain in a normal winter apart from central and northern locations. It can withstand temperatures down to -10C (14F) but at this temperature may suffer some dieback. Being a Mediterranean plant it doesn’t like sitting in cold waterlogged soil. 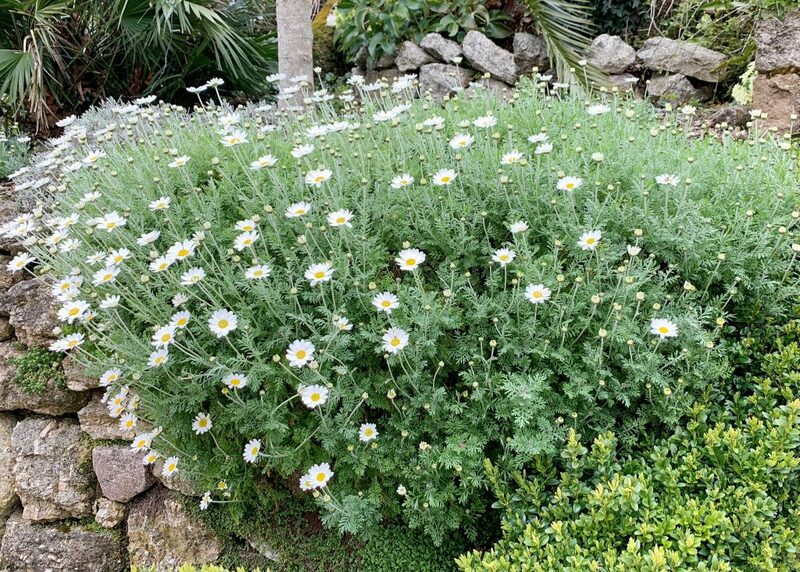 Sicilian Chamomile is happy virtually anywhere but looks magnificent when trailing over a bank, wall or even a large container. It’s also ideal as ground cover for an informal planting scheme whether that’s at the border edge of a traditional cottage garden or a more contemporary gravelled area. The plant thrives from a good haircut after the main flowering flush to encourage plenty of basal growth. This leaves it well prepared for the colder winter months. If you do have an empty space in your planting scheme then do give this attractive perennial a chance. You’ll wonder why you haven’t grown it before!